What a great day at work yesterday! It really makes my day when I have clients that bring great energy to the studio. 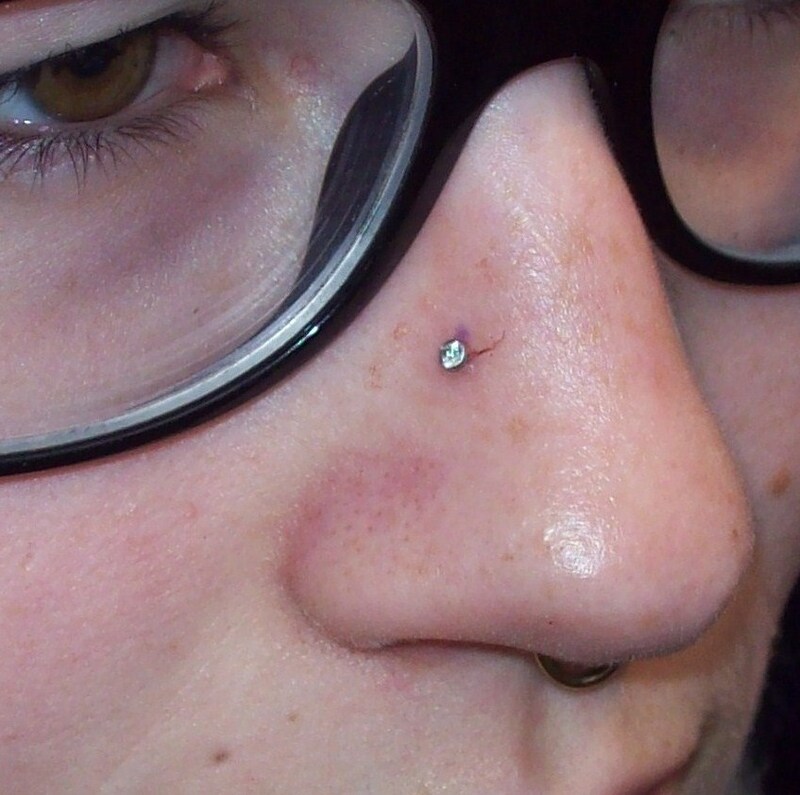 I had the pleasure of doing a high nostril on a very good client of mine for her birthday,..this is two years in a row now that she comes to me to be pierced for her birthday,…Merci! 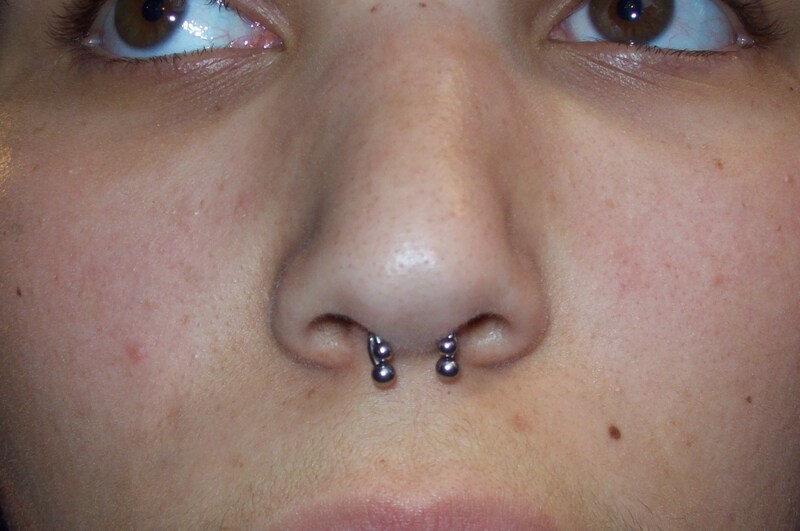 After that I got to do a second septum piercing not more than 3mm above her exsisting septum piercing which was a litlle tricky as the placement needed to be on the mark with no exception for error or the piercing would not work aesthetically, so with careful attention and a swift stroke her second piercing turned out mint!! The new septum ring I pierced is the front one where you can only see the two smaller beads. 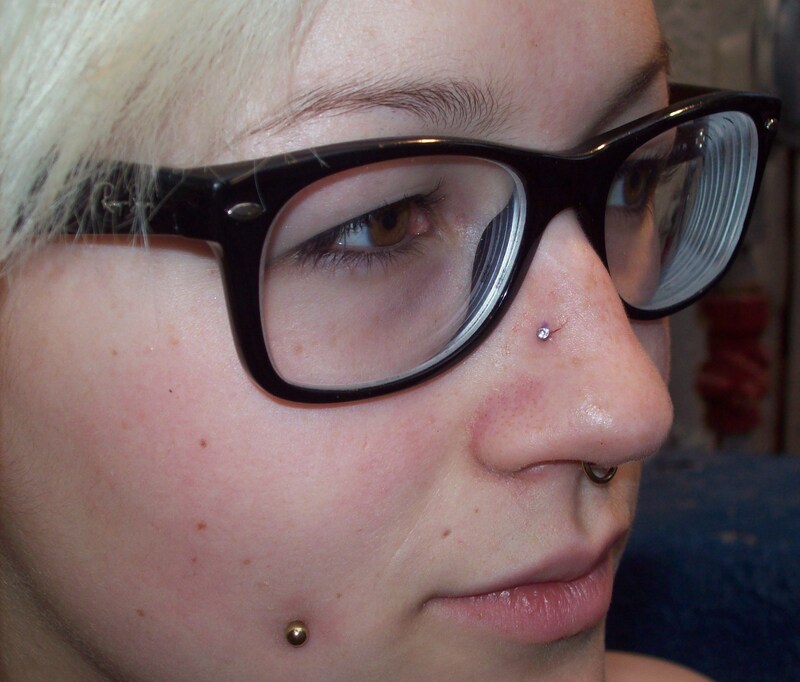 It is really important that they are layered which give this piercing a nice aesthetic balance,…I’m really stoked on how it looks.